Are Asian ETFs Going Higher? Some experts are weighing the pros and cons of adding to their equity holdings in the region. Never mind the subpar year-to-date performance. Equity ETFs linked to Japan, China, and the rest of Asia have rebounded sharply as of late. Are Asian linked stock ETFs ready to make a big move up? The ProShares FTSE China 50 ETF (XPP), a leveraged fund which aims for double daily performance to a small basket of Chinese stocks, has jumped 7.6% over the past month. Unleveraged funds like the iShares FTSE China 25 ETF (FXI) and iShares MSCI Japan ETF (EWJ) have also scored decent gains ranging from 3.5% to 5.5%. What’s behind these moves? Economically, Asia is still a mixed bag. Weak PPI has contributed to sluggishness in China’s manufacturing sector which lacks pricing power, along with growth and demand. In Japan, a return of deflation is also a major concern and so is the threat of higher taxes. The Japanese economy is still recuperating from a tax hike to 8% from 5% in April. 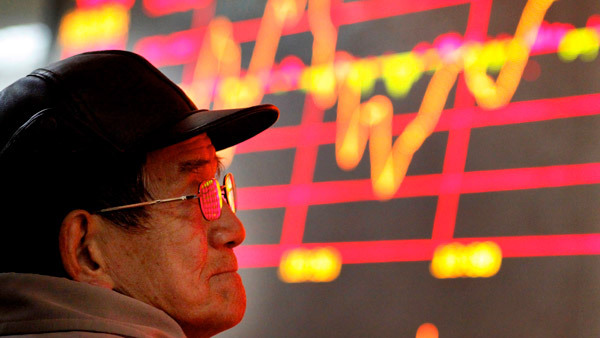 Skepticism about Asia is warranted. Even so, the extremely accommodative stance by Chinese and Japanese central bankers is a bullish and positive sign for capital markets. The Nikkei benchmark is trading near a seven-year high and has doubled since Prime Minter Shinzo Abe implemented his version of quantitative easing (QE) called “Abenomics.” Whether this becomes a sustainable long-term trend or not is still playing out. The People’s Bank of China decided to slash one-year benchmark lending rates for the first time in more than two years. And as Asia’s central banks dump more money into their respective economies, financial markets are cheering. A just released survey of global money managers by Bank of America Merrill Lynch found that almost one-third are more likely to increase their exposure to Japanese equities. And it’s not hard to see why. The S&P 500 soared 153% during three rounds of massive monetary infusions by the Federal Reserve Bank that began in 2008. Although the QE stimulus cycle in the U.S. officially ended in October, it appears to be just getting started in Asia. And that could be a good thing for equity investors that are positioned accordingly. Ron DeLegge is the founder and chief portfolio strategist at ETFguide. His next free portfolio workshop for financial advisors takes place at 1 p.m. ET on Tuesday, Dec. 12.